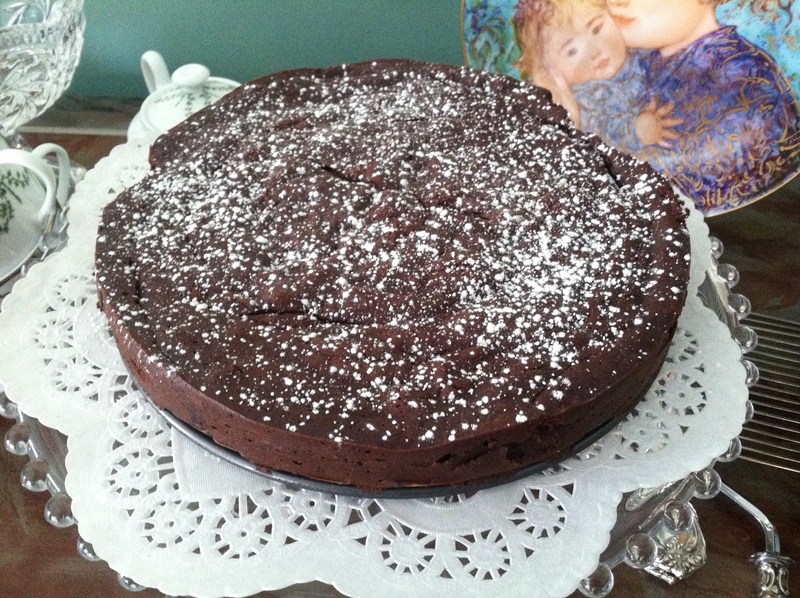 Thanks Rachel – This cake was seriously amazing…so dense and creamy! Perfect really. Now I suppose I’ll have to get a springform pan now too…Wait. Does that say 2 STICKS of butter. Yeah, I’m gonna need that springform pan back ASAP. After tasting this, I think I found a use for it. Ok – so I’ve made this cake twice now (both times in an 8″ spring form). I would like to mention that in my most recent experiment I baked the cake for about 30 minutes, the cake tester came out clean, and cooled it for an hour. When I attempted to remove the spring form, the cake started to turn to liquid. Well after consulting Tessa I decided to try baking it again – which I did for about 25 more minutes. The cake turned out exactly as it should have originally much to my surprise. I just wanted to add this in case someone else runs into the same problem! Also add- that you stored it in the fridge overnight- it’s the cold, i think- that helped keep it together. And I think that having the smaller pan- is effects the baking time/its ability to whole together.